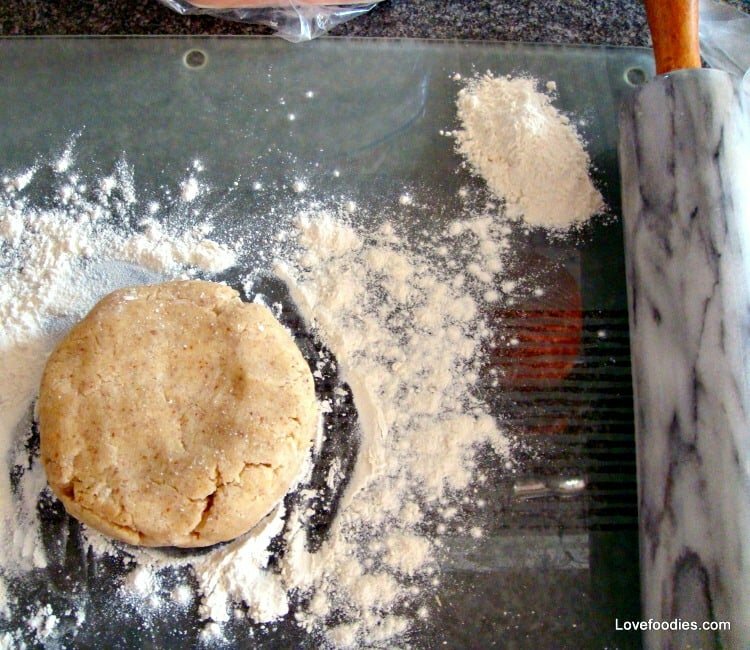 How To Make A Quick Basic Pie Crust, Shortcrust Pastry. Sweet or savory. Suitable for freezing before or after baking. 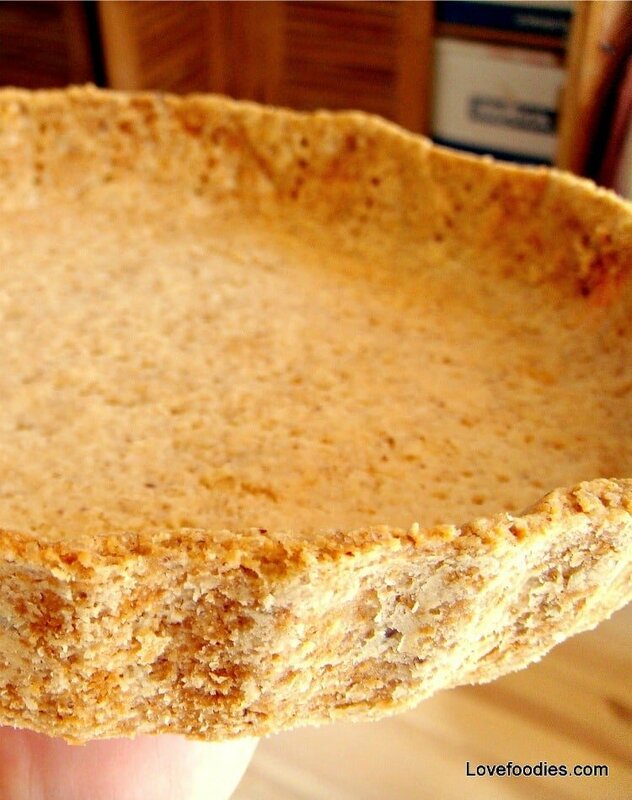 How To Make A Quick Basic Pie Crust, Shortcrust Pastry. 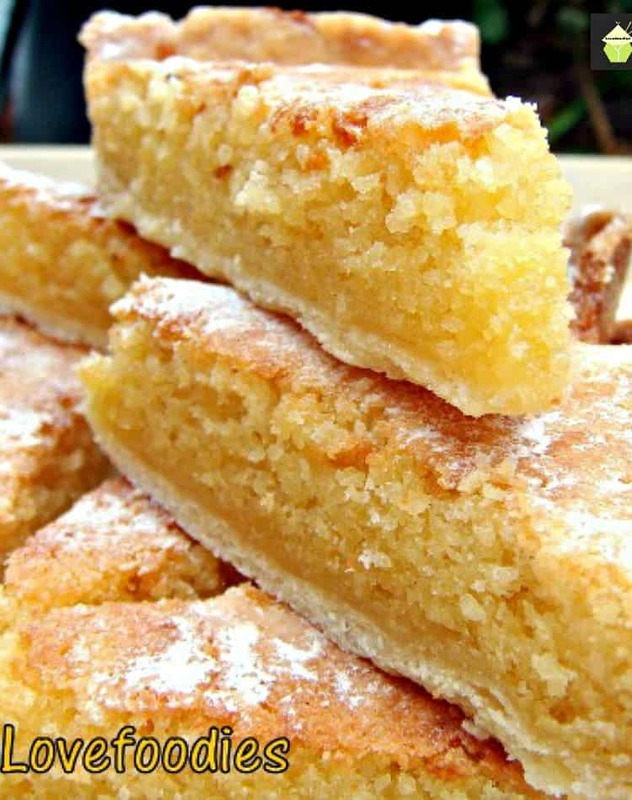 This is the easiest, quickest and probably the most popular of pastries to make than the richer pastries. It can be used for both savory and sweet dishes, such as a quiche or a frangipane. I’ve made this recipe for shortcrust pastry incredible simple, and you can choose to make it either by hand or using a food processor. I always make this shortcrust pastry by hand. it takes a matter of minutes and there’s less washing up and messing with equipment! The technique is to lightly rub in the fat using your fingertips, and as with all pastry, you should work in cool conditions. You do need to make sure the butter is chilled. If you’re making this in the hot Summer months, I suggest you cut the butter in to small cubes and pop in the freezer for 10 minutes to get really cold. The pastry, once baked is light, buttery and crispy. It’s a pure delight to eat and the beauty of this shortcrust pastry is that if you make a batch or two, you can freeze by simply wrapping in some plastic wrap. 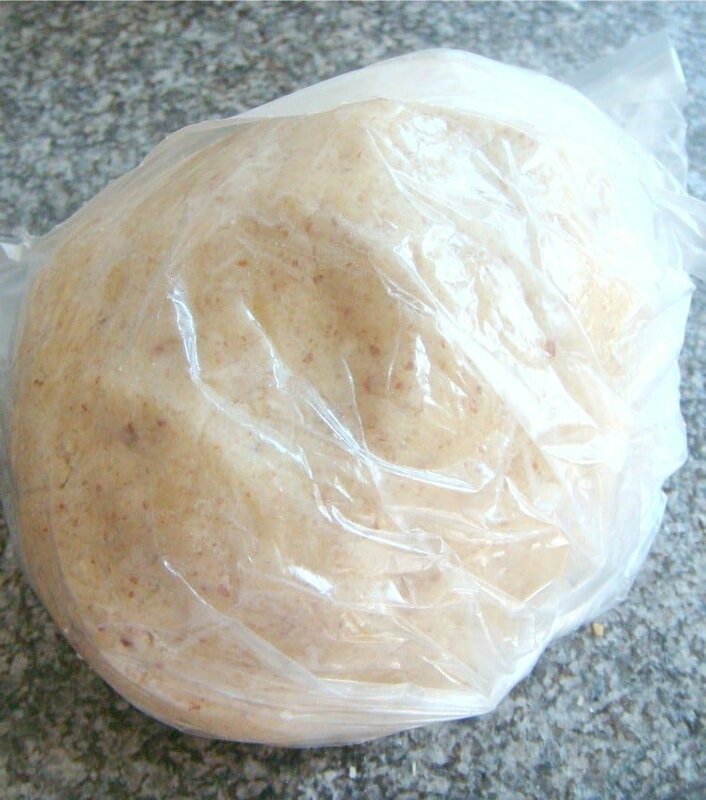 then when you want to use it, allow to defrost in the fridge and roll out as normal. This recipe will be enough to cover an 11 inch or 28 cm flan dish. I often make 2 small tarts with one batch of pastry! Once you’ve made your own pastry, you won’t go back to ready made shop bought stuff! The quantity of pastry is enough to line a flan dish (including the sides) measuring 23 cm, 9 inches and cover the top. 3. 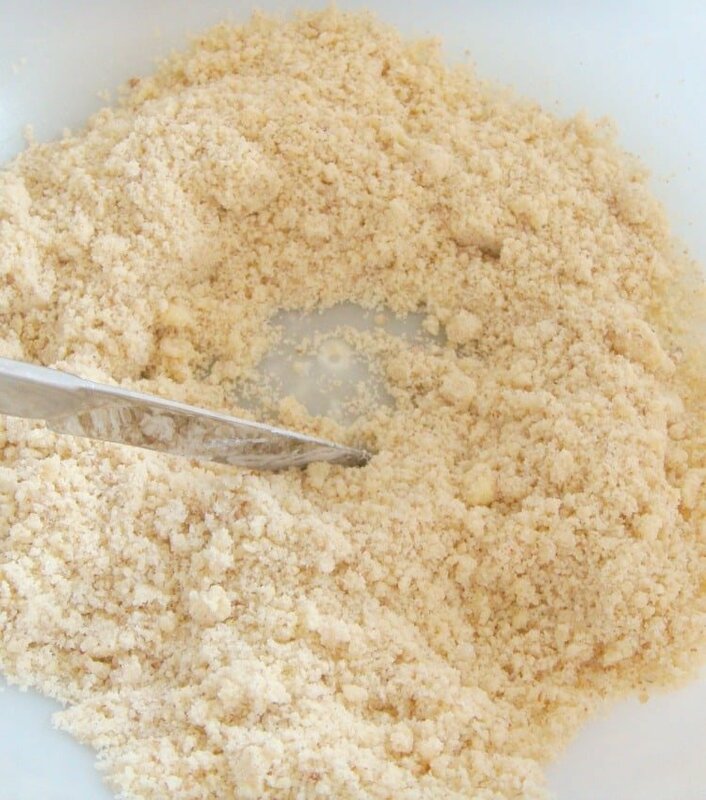 Rub in fat using the tips of your fingers until the mixture looks like fine breadcrumbs. 4. 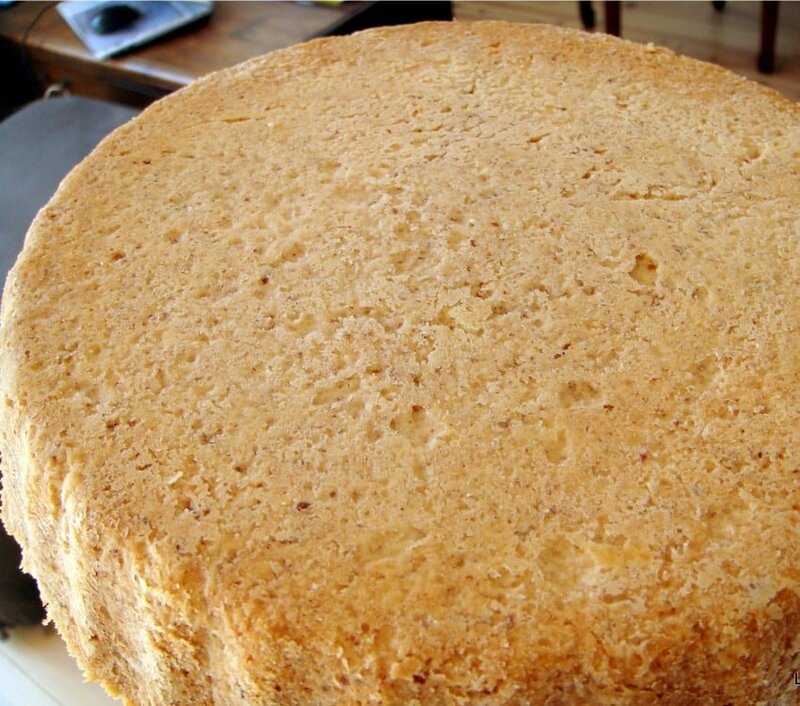 Once the mixture resembles breadcrumbs, make a well in the middle and start by adding the beaten egg and 1 tablespoon of cold water. Using a metal round-bladed knife, stir the mixture and combine well before adding a further tablespoon of water. Keep combining with your hand, adding a tiny bit of water as you go if necessary. Don’t worry at this stage if you think it’s too dry. Your instinct is to add lots more water, but trust me, DON’T! The more you mix it, the dough will come together. Be patient! 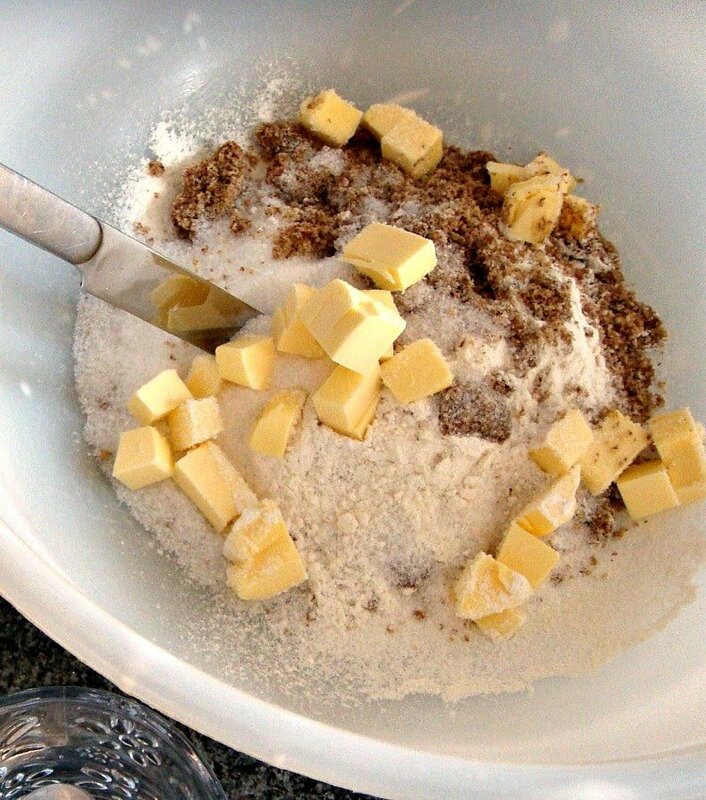 The ultimate goal is to have the mixture come together into a ball, your bowl should be completely cleaned from pastry, (i.e. it is not sticky and gluey), and the dough should be dry enough it doesn’t stick to your hands, and quite stiff. 6. Once your dough is ready you can place in the fridge for 20 minutes to rest, or just continue with your recipe for what you are cooking. 7. Shape the dough into a ball, or whatever shape your dish is. Roll lightly and try not to ‘overwork’ or roll too much as this will damage the structure of the pastry and you will lose the ‘shortness’ or crumbliness, plus all that air you were so busy incorporating when you were rubbing in the fat! Roll out the pastry thinly, around 1/2 cm in thickness. To avoid too much rolling, handling and shaping, have your flan dish handy and place it on top of your pastry to check for size. Cooking times will vary depending on what you are using the pastry for. As a rough guide, 8-10 minutes for something small, 20-35 minutes for larger pies, or until the pastry takes on a nice golden brown color. Follow the instructions on the recipe you are making! We’d love to hear from you and what you thought of our Shortcrust Pastry recipe. Did you make any changes or add some other goodies? Let us know in the comments below. Thanks for reading and happy cooking! 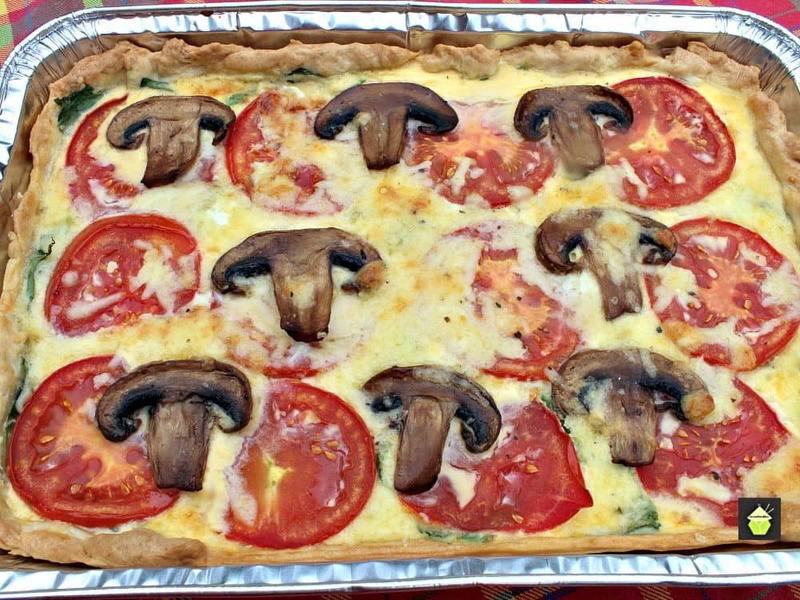 Here are a few delicious recipes using Shortcrust pastry for you to enjoy! 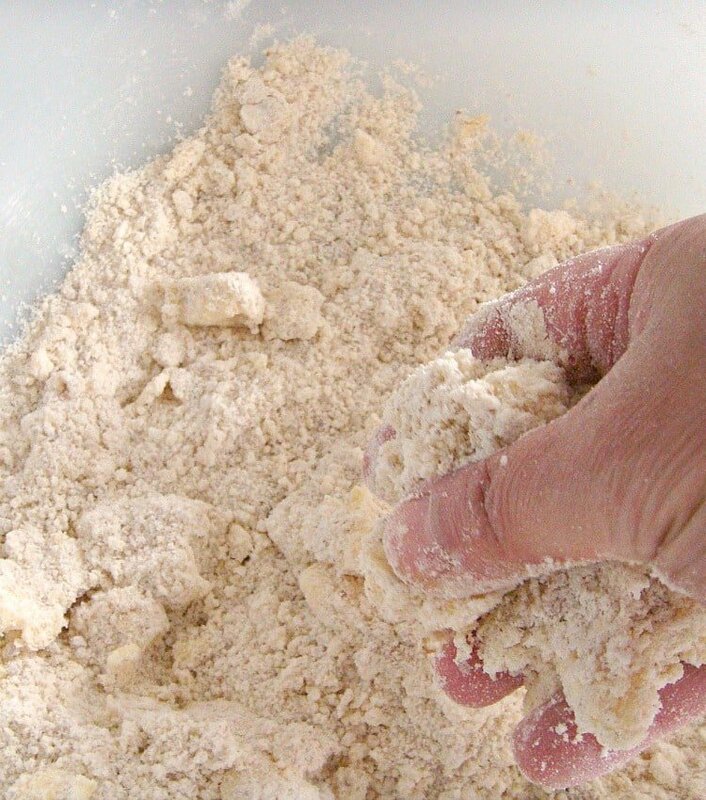 Mix sieved flour, and sugar or salt (if using) in a large bowl. Add cubes of butter. 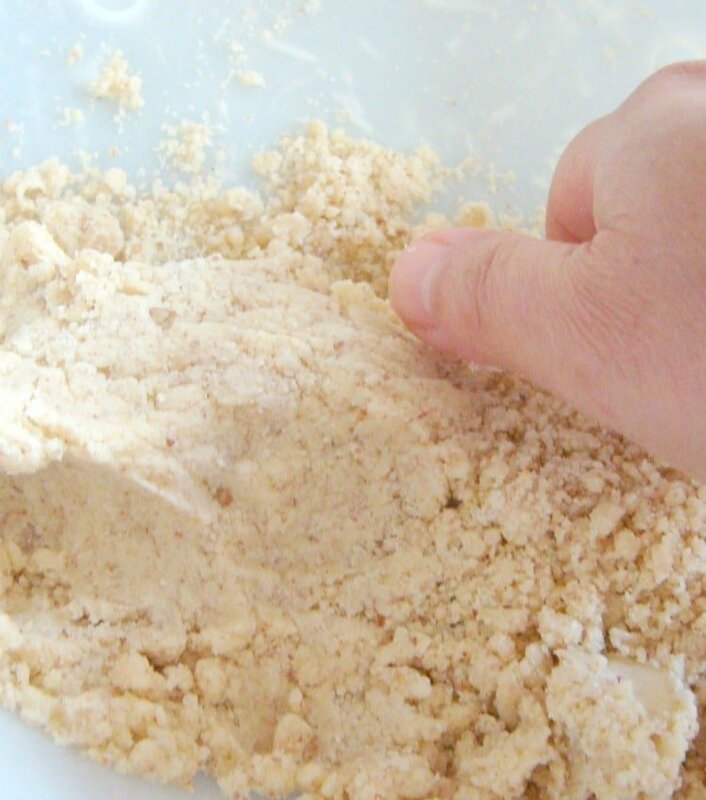 Rub in fat using the tips of your fingers until the mixture looks like fine breadcrumbs. 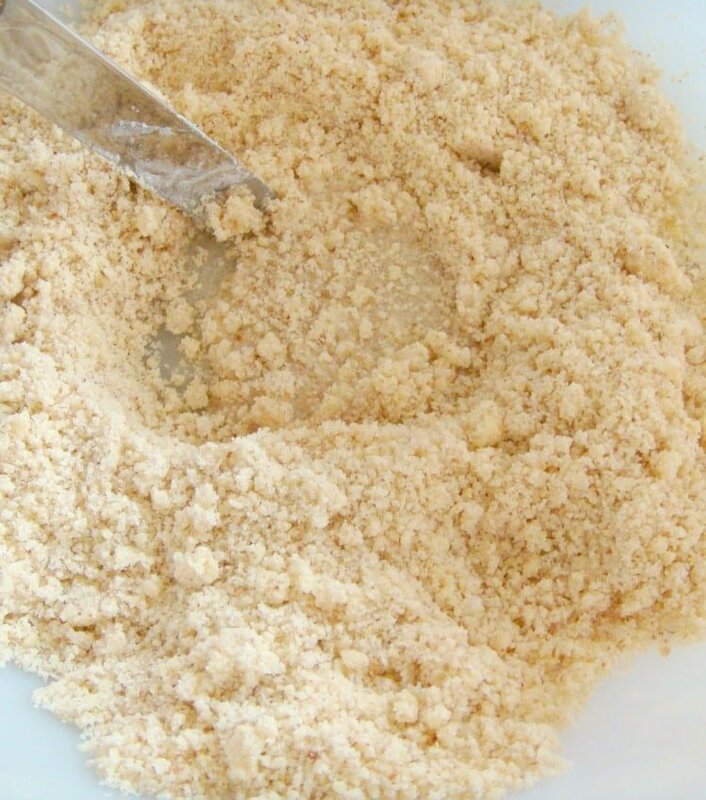 Once the mixture resembles breadcrumbs, make a well in the middle and start by adding the beaten egg and 1 tablespoon of cold water. Once the mixture starts to go lumpy, use your hand to combine the mixture. Try not to handle the dough too much as it will lose its lightness and crumbliness once cooked. Keep combining with your hand, adding a tiny bit of water as you go if necessary. Don't worry at this stage if you think it's too dry. Your instinct is to add lots more water, but trust me, DON'T! The more you mix it, the dough will come together. Be patient! The ultimate goal is to have the mixture come together into a ball, your bowl should be completely cleaned from pastry, (i.e. 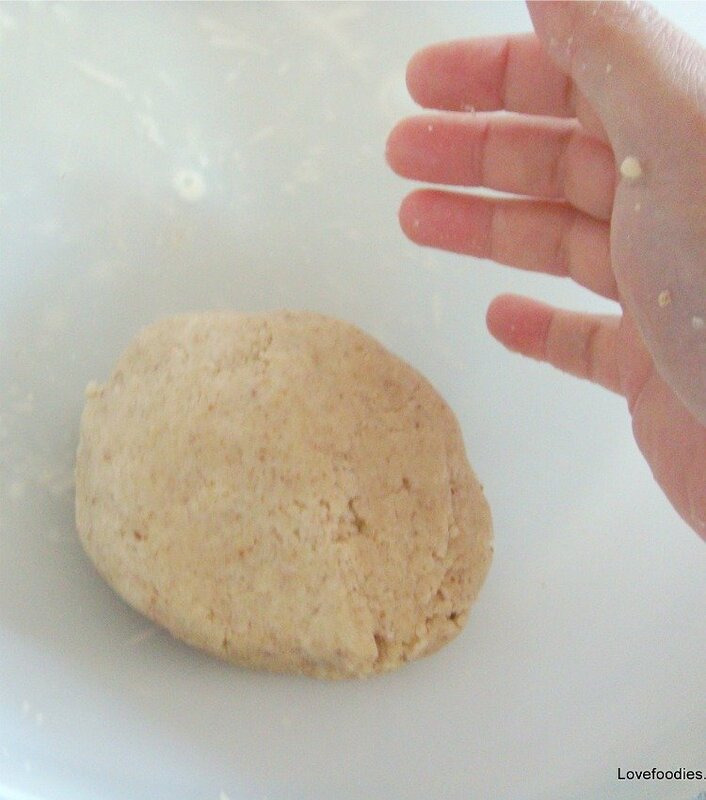 it is not sticky and gluey), and the dough should be dry enough it doesn't stick to your hands, and quite stiff. Once your dough is ready you can place in the fridge for 20 minutes to rest, or just continue with your recipe for what you are cooking. Shape the dough into a ball, or whatever shape your dish is. Roll lightly and try not to 'overwork' or roll too much as this will damage the structure of the pastry and you will lose the 'shortness' or crumbliness, plus all that air you were so busy incorporating when you were rubbing in the fat! Roll out the pastry thinly, around 1/2 cm in thickness. What is the brown stuff in the first picture? Hi Kathleen, the brown stuff is brown sugar I added when I was making this pastry for a pecan pie! But you can use regular white sugar too. Hope that helps! wow I had to stop and stare at your top photo – beautiful! Thank you very much Erica! I am honoured you like the photo, as your photos are so beautiful! Awesome post with great detail! Terrific and informative post. 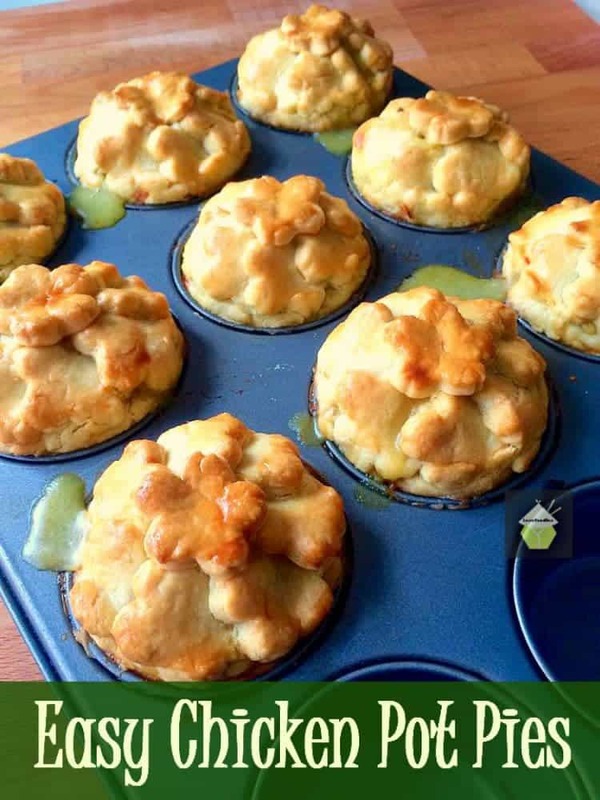 Your pie is to die for – absolutely stunning! Thanks very much Susie! I’m glad you enjoyed reading! Is this also how you make the dough for scones? I would LOVE a good, chewy scones recipe! what is the oven setting for baking 8-10 mins? Hi Kal, I’ve based the cook times you refer to on the oven temp in Step 1 of the instructions, so it would be 180 C / 375 F. Be sure to keep an eye on your pastry. If you are making a pastry case that requires pre cooking, please take a look here at the ‘bake blind’ page for some good tips! Hope this helps. Happy Baking! I read it says I can freeze but do I freeze it after I bake it or freeze it as a lump of dough? Thanks! Hi Audra, with this pastry, you can freeze before or after. I have done both and the only disadvantage if you freeze after is that the nice pastry case could get damaged or knocked in the freezer, but taste and quality is no different. If I freeze the cooked cases I usually put them in a freezer drawer where I am not likely to be shoving other stuff in for fear of breaking them! I have used this method for years! Me too Sharron! It would be lovely if more people would stat making their own pastry! It’s so easy, cheaper and tastier that’s for sure! Yes, I have doubled the recipe many times (when I make two pies for example). As with any pastry when you use flour, there is no exact measure of water you should use, simply because flour brands vary, even each batch of flour can be very different in how much water they absorb. So my advice would be to use the amount of water in the recipe, then add extra in 1 tablespoon amounts, combining in between until it forma a ball. So long as you have all the other measures correct, in particular the butter, it will come to a ball. I suggest you start with a round bladed knife to combine everything, then when it looks lumpy, use your hand to gather the mixture together. If it still doesn’t form a ball then, add a little more water and so on, until a ball forms. I hope this helps. I have used this recipe for many years, and I do know the water measure really can vary depending on the flour. Be patient, add a little water at a time and it will work for you!